5.0 oz. clear cello bag filled with dark chocolate pecan clusters. 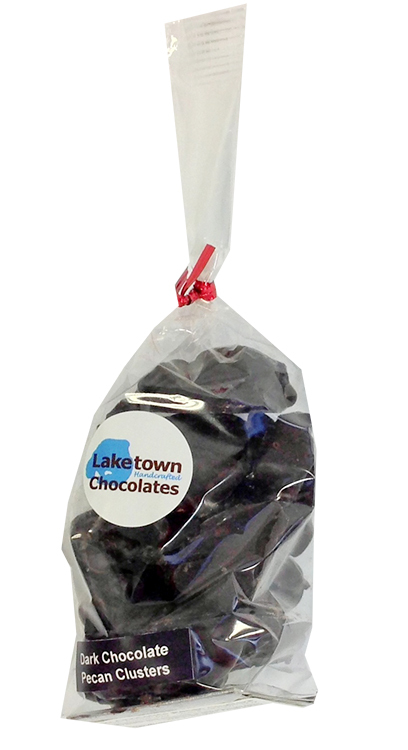 Combines our European style dark 50% semisweet chocolate with roasted salted pecan halves. Made fresh to order in our confectionery kitchen. Also available sprinkled with sea salt.